I wanna dance!. Original imej belong to Universal Pictures, ikon-ikon sejak DarkSarcasm.. 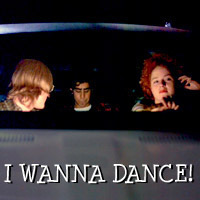 Images in the Dazed and Confused club tagged: dazed and confused image icon cynthia mike tony marissa ribisi adam goldberg anthony rapp. This Dazed and Confused icon might contain tanda, poster, teks, papan hitam, and chalkboard.